Greetings, and happy Wednesday! Today, I'm going to let you in on a little secret - the answer to the ultimate question of life, the universe, and everything... better known as 42! 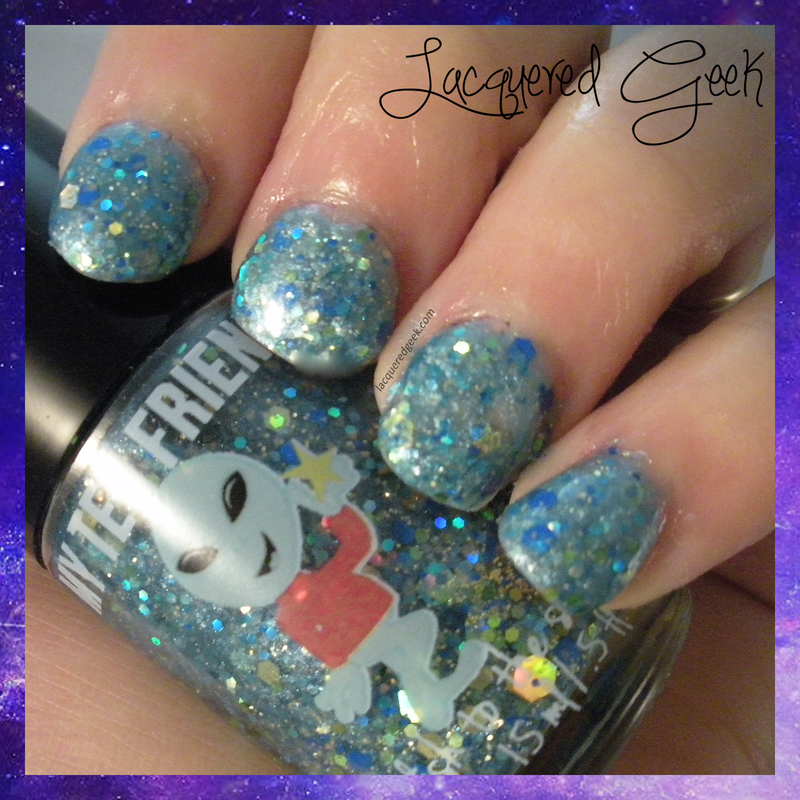 The Hitchhiker's Guide to the Galaxy is such a fantastic book, and My Ten Friends made a polish named 42. 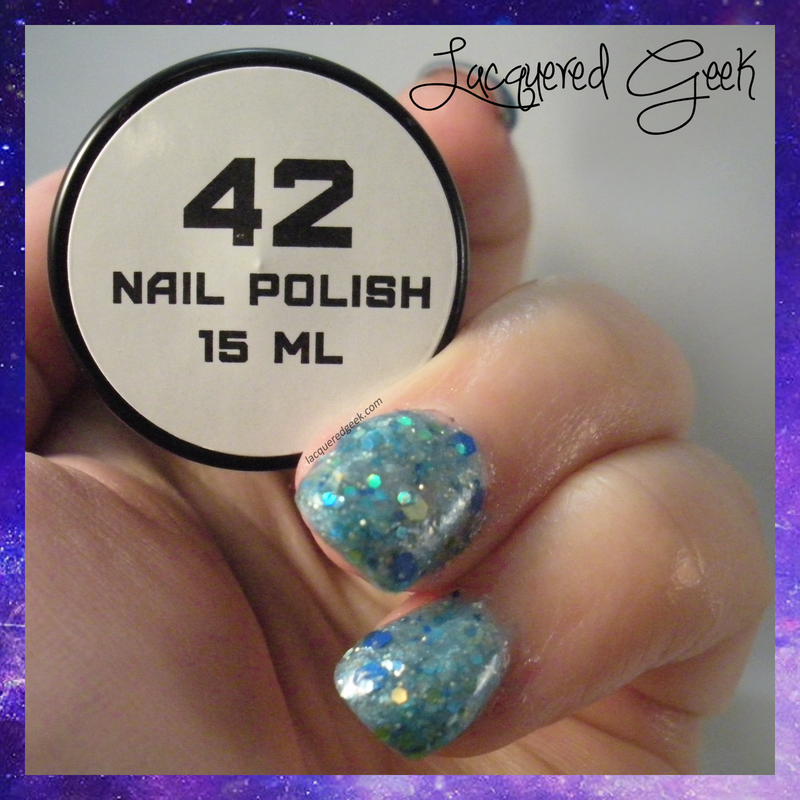 42 is has a slightly teal tinted jelly base, with lots of dark blue, turquoise, and gold glitters, along with gold shimmer. This is a bottle of the reformulated polish. The original version had more of a blue base. 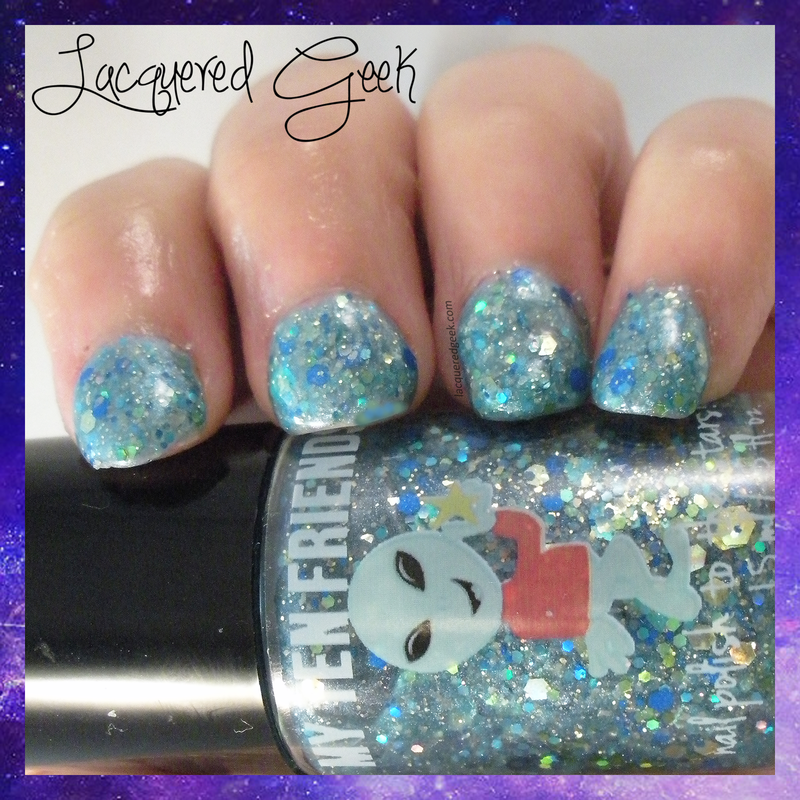 The newer version appears to have more glitter judging from some bottle shots that I've seen. There was no problem in getting the glitters out of the bottle. I did have to do some placement with the larger glitters - sometimes I just got too many on my nail! I would rather have that than to fish and fish for a glitter! The formula is a bit on the thick side due to the sheer number of glitters present in the polish, but it is still easy to work with. I used 3 thin coats for these photos. 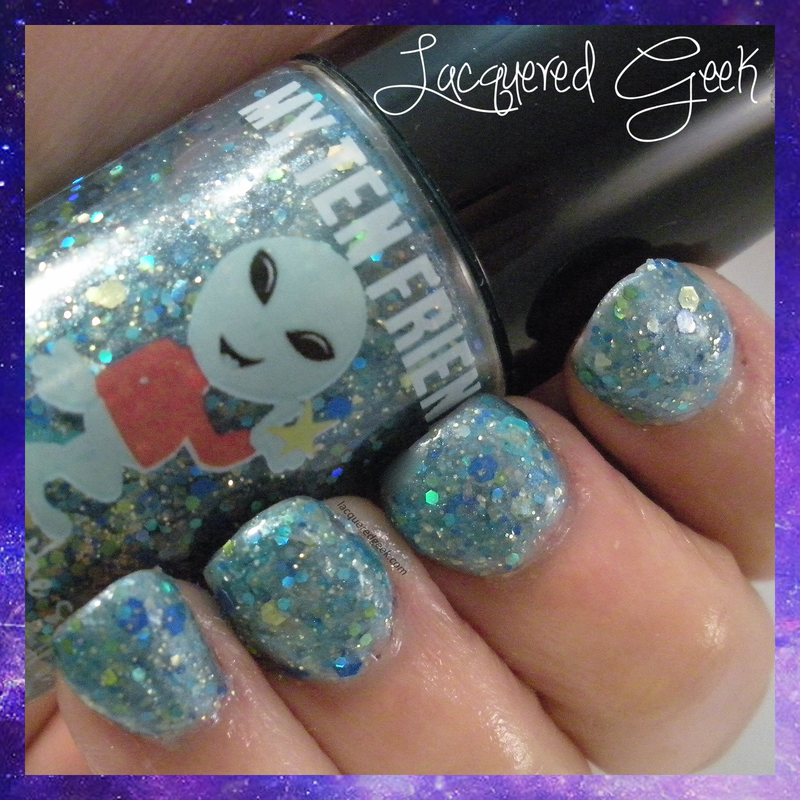 I just love the little alien on the bottle! He's so cute!! Judging from My Ten Friends' Facebook page, the shop is currently on hiatus. She last posted in September that once the weather cools, she'd be doing a restock. I'd suggest keeping an eye on that page and her shop to try to catch the restock. I know I'll be looking for it because there are still quite a few polishes that I want to get! I'd love to hear your thoughts on this polish! Have you tried any other My Ten Friends' polishes? I haven't tried any of their polishes, but I'm so sad to hear that they've closed their doors. They can really make a beautiful polish!